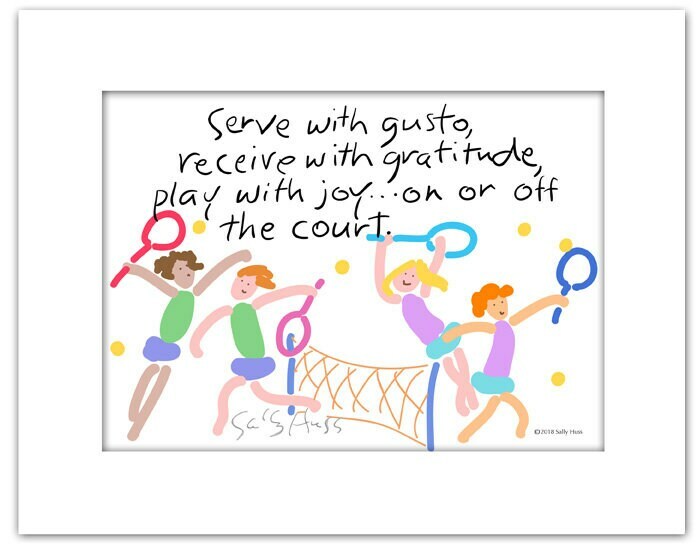 This is a fun, lively print with a wonderful message for players of all kinds. It was created in 2018 and is hand-signed by me and matted to fit in a standard 8"x10" frame. I've been a tennis player for over 65 years and have found that the lessons I've learned on the tennis court apply equally to life itself, the most important of which is that tennis should be "played joyfully." Enjoy!